Medilink International is extending its topside support services to Algeria following the recent opening of our new Hassi Messaoud Medical Centre. Topside provides on-call, diagnostic telemedicine to support remote medics working at client bases in the field. It is one of more critical services in the Medilink portfolio worldwide and is essential to our remit of providing extensive medical support services to our clients in Algeria. Commenting on the launch of topside services in Algeria, Medilink CEO Simon Camilleri said: “Our company continues to grow and evolve and I am extremely delighted to announce the extension of our topside support to Hassi Messaoud. With the oil and gas industry one of the most challenging industries in the world to serve, on account of its remote site locations and the hostile conditions in which it operates, it is vital we invest further in our tele-health services to give greater medical cover to our clients”. What do Topside Support Services entail? In order to safeguard the well-being of our clients, both onshore and offshore, Medilink deploys a round-the-clock telemedicine support system. The main benefit of this system is to give remote site medics the convenience and peace of mind of an immediate, 24/7 link to senior medical specialists and consultants back at base. 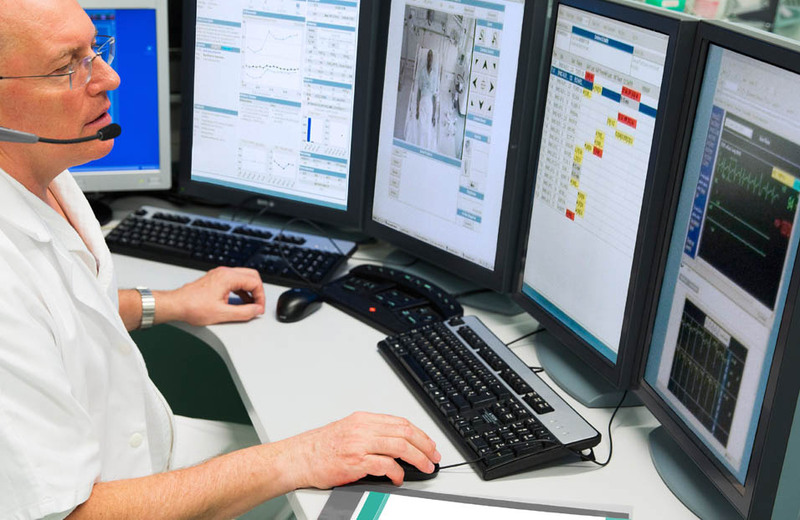 Typically, our Topside Support team connects to the remote sites to view patient information in real time using telemedicine applications, enabling them to interpret patient information directly, and thereby give more accurate diagnosis, better decisions and hence improved patient outcomes. Our clients gain also in terms of efficiency and cost-effectiveness: remote medical staff can competently treat patients on site and make well-informed decisions on any further treatment required, including, for example, the need for medical evacuations. Originally set up to support our own clinics and medics, our Topside Support is now available also as a standalone telemedicine service. The service is ideal therefore for clients who employ their own medical staff but do not have the facilities to provide them with specialist diagnostic back-up on a 24/7 basis. To find out more about how we can serve your remote site operations with topside support services, both in Algeria and worldwide, feel free to contact us.